The new reforms see IT contracts capped at $100 million, and $650 million set aside for smaller suppliers. The Federal Government’s Assistant Minister for Cities and Digital Transformation, Angus Taylor, revealed on 23 August new procurement reforms that see IT contracts capped at $100 million. The procurement changes also see a pledge by the Government to inject an additional $650 million annually into local tech companies that fall into the small to medium-sized enterprise (SME) category. Broadly, the new stance is aimed at giving smaller suppliers a leg up when competing for lucrative public sector contracts, potentially leveling a playing field heavily dominated by top tier suppliers such as IBM, Hewlett Packard Enteprise (HPE) and Dell EMC. “Government is targeting an increase of 10 per cent of its annual $6.5 billion IT spend to smaller operators,” Taylor said in a statement. “These are exciting changes that will throw open the door for SMEs and allow government agencies to bring in new and innovative services. “A cap is now in place to limit the term and value of government IT contracts. We are reducing the number of IT panels to make it easier for small players to supply services. We are actively encouraging small innovators to sell us their ideas,” he said. The new reforms came about as a result of recommendations from the ICT Procurement Taskforce report. The Government’s ICT Procurement Taskforce initiative, the details of which were revealed last year, is aimed at helping to overhaul the way the country spends its $9 billion-plus annual IT investment dollars. “The Taskforce found a culture of risk aversion in government procurement had undermined the freedom to innovate and experiment. If we are to reward the entrepreneurial spirit, a new procurement culture is necessary,” Taylor said. According to Taylor, the 10 recommendations from the Taskforce cover issues as diverse as developing IT-specific procurement principles, building strategic partnerships, data-driven reporting, enhancing the Australian Public Service’s procurement skills, and new procurement methods. 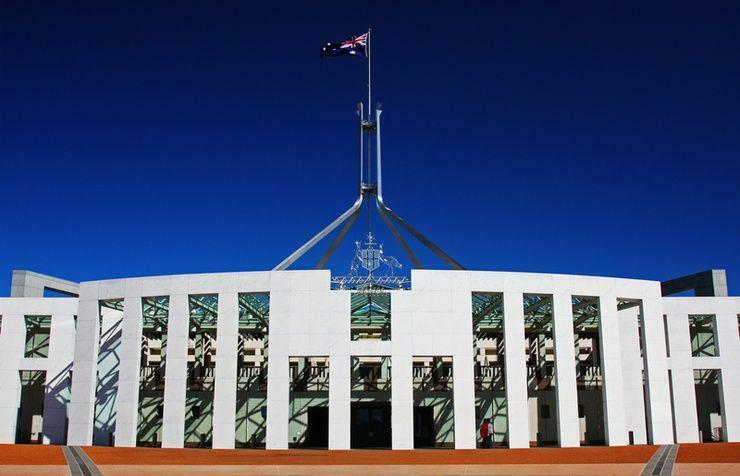 The Government will now work to continue, over the next 12 months, to deliver more pathways to improve coordination and reduce duplication of IT procurement across government. Meanwhile, the Digital Transformation Agency’s (DTA) increased oversight of the government’s IT investment portfolio and its work to build digital capability is expected to address the calls for a more strategic IT procurement approach and a stronger technical workforce. The DTA, which has been charged with building a whole of government IT strategy, took over the bulk of the Federal Government’s IT procurement duties from the Department of Finance, which had long held the jurisdiction. From the outset, the DTA – which evolved from the Digital Transformation Office (DTO) – has had a focus on opening up access for smaller suppliers to pitch for government projects. Indeed, as of May, SMEs had picked up 82 per cent of the estimated $15.3 million worth of contracts tendered via the DTA’s Digital Marketplace online procurement portal, which was created specifically to give smaller players greater access to government jobs. Yet large providers have continued to dominate the engagements on big ticket projects, such as the Department of Human Services’ leviathan welfare payments system overhaul, which is tipped to top at least $1 billion over its life. For this project, only the largest of integrators have so far been engaged, including Accenture, Capgemini, HPE and IBM. There has been some progress, however. The Government revealed late last year that it had seen an increase in SMEs taking part in public sector projects across the board, with smaller providers representing 18 per cent of the contract wins in the IT, broadcasting, and telecommunications category during the 2016 financial year. At the same time, government is an industry vertical that, in many cases, handles extremely large, monolithic IT projects. As such, it often needs to partner up with IT service providers that have the resources needed to undertake such far-reaching, broad projects. This is despite efforts thus far from the DTA to give more of a share to smaller players. While the new $100 million IT contract cap could conceivably be worked around by simply breaking up larger deals with a single supplier into smaller pieces that handed to that one partner, the $650 million that is being set aside for SMEs could make a difference. Certainly, most of the funds allocated for procurement via the Digital Marketplace have gone to smaller players. If that trend is repeated with the new funding pledge from Taylor, it could, indeed, see smaller players take a larger portion of the Government pot. Regardless, top tier players are likely to continue to dominate top tier projects. Taylor has previously conceded as much his presentation at the Tech Leaders forum in early March, suggesting that not all projects can be small and that the government would need to continue relying on contractors to fulfil many of the large projects which remain. “We need to be in control of it and across it, that’s crucial. It is not to say that every small project is going to go to an SME, in some cases a big player will have the best solution,” he said at the time. That said, if the Government’s new procurement reforms are as effective as hoped, Taylor’s wish to see at least 10 per cent more public sector projects go to SMEs.